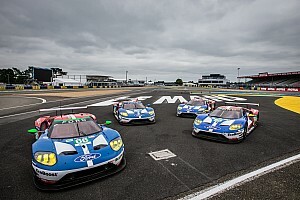 The FIA WEC 6 Hours of Silverstone proved to be a happy hunting ground for the AF Corse team as they took wins in both the LMGTE Pro and LMGTE Am categories. 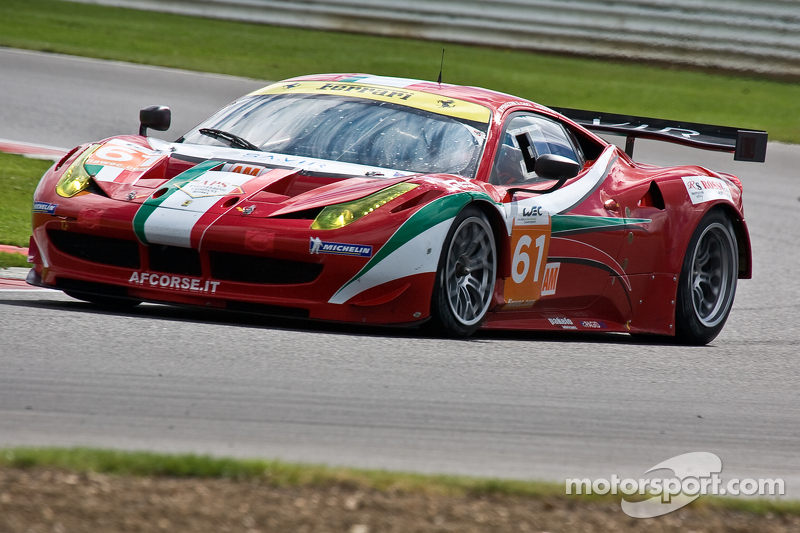 The #51 AF Corse Ferrari 458 Italia of Gianmaria Bruni and Giancarlo Fisichella won the LMGTE Pro class in a hard fought race, while the #61 AF Corse-Waltrip Ferrari 458 Italia of Piergiuseppe Perrazzini, Marco Cioci and Matt Griffin were victorious in LMGTE Am finishing ahead of the nr50 Larbre Competition Corvette and the #88 Team Felbermayr-Proton Porsche. From the start of the race the LMGTE Pro battle was raging fiercely with pole sitter Richard Lietz holding onto the lead in the #77 Felbermayr-Proton Porsche while Gianmaria Bruni in the #51 AF Corse Ferrari and Darren Turner in the nr97 Aston Martin Racing Vantage were trading places, with Turner ending the opening hour ahead of the Italian. It was more of the same in the next 60-minutes as the LMGTE Pro class provided some of the best racing. The #97 Aston Martin Racing Vantage of Stefan Mucke closed the gap to less than a second to the leading #77 Felbermayr-Proton Porsche of Marc Lieb, with the #51 AF Corse Ferrari of Giancarlo Fisichella keeping pace with the two lead cars. Disaster struck as the race approached the halfway point when the #77 Felbermayr-Proton Porsche suffered a rear suspension problem and had to crawl back to the pits for repairs, leaving the #97 Aston Martin Racing Vantage in the class lead. 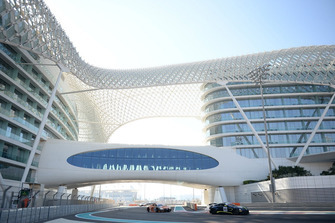 However the lead soon changed when the Aston Martin made a pitstop and the AF Corse Ferrari took the lead with Gianmaria Bruni back in the cockpit of the 458, with the Italian holding a 22 second advantage as the race entered the final stages. At the chequered flag the #51 AF Corse crossed the line to take the victory two laps ahead of the JMW Motorsport Ferrari of James Walker and Jonny Cocker with the #97 Aston Martin taking the final podium position after a clash with the #71 AF Corse Ferrari of Andrea Bertolini at the final corner which saw the Ferrari beached in the gravel trap. The LMGTE Am class was closely fought, with the #61 AF Corse-Waltrip Ferrari holding the early lead, then it was the #50 Larbre Competition Corvette, followed by the #88 Team Felbermayr-Proton Porsche in the later stages of the 6 hour race. As the race drew to a close it was the #61 AF Corse-Waltrip 458 that was ahead and the car crossed the line 54 seconds ahead of their nearest rival. However at post race scrutineering the #50 Larbre Competition Corvette was excluded for not complying with the safety rules. Gianmaria Bruni: “In the race we were able to follow the Porsche as close as possible until we got into LMP traffic. The Aston was coming up on us very fast and managed to overtake me and the Porsche. Our strategy was to try and be at the same speed as them but at the same time use less fuel. That was our plan and I think we achieved it 100%. 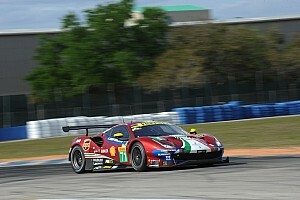 We did more laps on a stint than the other Ferraris, between me and Giancarlo. Giancarlo Fisichella: “It was a great race and it’s a fantastic feeling following on from Le Mans 24 Hours. We won here last year and the championship so we’re good on this type of circuit. As usual it was a tough race but it was one we could control from the beginning, keeping close to the Porsche and Aston Martin. Marco Cioci: “It was a good battle and we had the same strategy as the No.51 car. We tried to save fuel but it was hard at the beginning as the Aston Martin and Porsche were very quick. Our strategy was to be as quick as possible and save one pit stop. Piergiuseppe Perrazini was great and saved more fuel than anybody – Matt did an incredible double stint and saved fuel. 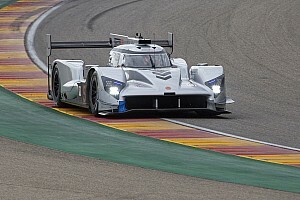 Matt Griffin: “We were confident after Friday because we had good pace in the car and we realised we were very good on fuel like the other AF Corse Ferraris. We still had to push which is difficult for a driver when you are on a fuel saving map and are still on the limit, pushing as hard as you can go. It started to become clear during my double stint that things were getting better and my pit board was making me happier every lap I came round.